“I hired Irene to be the chef for my son’s college graduation party. Shewas very patient with me, giving me ideas and thoughts around what to serve and together we came up with a wonderful menu. My guests were so delighted with the results. I received so many complements on the food I hired her again to cook for his rehearsal dinner. She was very gracious as she sat with me and again helped design a rehearsal dinner that was perfect for the festive occasion. Once again she out performed herself. I also witnessed her work with the bride and her mother to come up with an amazing meal for the wedding with 160 guests. She managed to pull off both events in less than 24 hours time and I was truly impressed. Irene is a talented chef with a high level of integrity, she will work with you to design a menu to serve your needs and you will be delighted with the compliments your guest give on the food. She is conscious about the quality of food she uses and makes sure you are happy with the results. "Two years ago I was in a lot of pain as an injured endurance athlete. I had spinal and shoulder issues and doctors recommended that I explore the next chapter in my life as an aging endurance athlete. Through concentrated private sessions with Irene, I'm am back on the right track. My back and shoulders are stronger and I'm in minimal to no pain. I'm able to get back into the endurance sport that I love. I know that without Irene's help and expertise that I would still be on the couch exploring what my next stage would be. Now I know that my next stage is to keep working with Irene and ultimately become a better stronger athlete, even if I am aging. Those doctors were wrong that I needed to explore my next chapter. I'm grateful everyday that Irene was brought into my life." “I began taking yoga instructions from Irene on and off while I was visiting the Portland area last year, and now that I am living in Portland I am taking classes regularly from her. 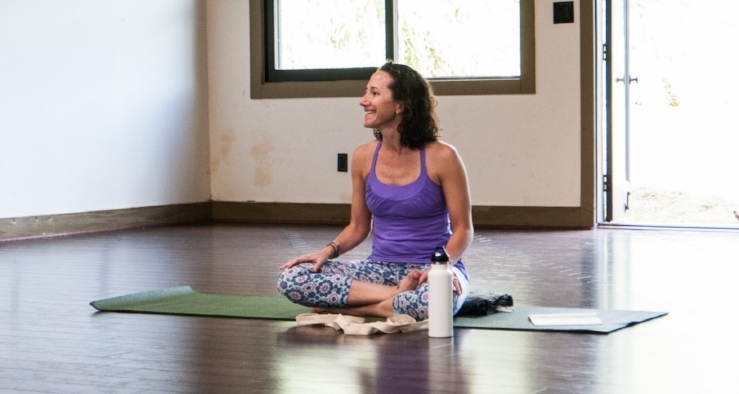 I also had the opportunity to go to two of her yoga retreats on the beautiful Oregon Coast, where she not only taught us five yoga classes, but also included meditation sessions and amazing vegetarian meals during the weekend. She was an excellent guide for all of us attending, and she worked nonstop to make sure we were comfortable and enjoying ourselves. I wanted to write to let you know what a fabulous job you and your team did and how everyone complimented you on the food and presentation! Everything was just wonderful, you did a outstanding job and I would recommend you to anyone. It was so nice that you dealt with all the arranging at the venue. Your idea of the placement of the bar and the tables outside worked out so well. It was so nice to see guests sitting and talking over their dinner. The execution of each portion of the event was flawless and very peaceful…if you were at all stressed it didn’t show and made for a very relaxing celebration for all. One of Lauren's friends has a picture of her plate of food on her facebook site with the comment… “best wedding food ever!” Thank you again for everything. "Thank you so much for your cooking lessons! I made your yellow curry with chicken last night, and it was amazing. Now all of my husband's favorite dishes that I cook are all things you taught me to make! I can't wait to learn more from you to improve my repertoire."